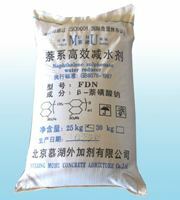 Poly Naphthalene Sulfonate - MUHU (China) Co., Ltd.
Package: 25kg / bag , 700 kg / bulk bag. 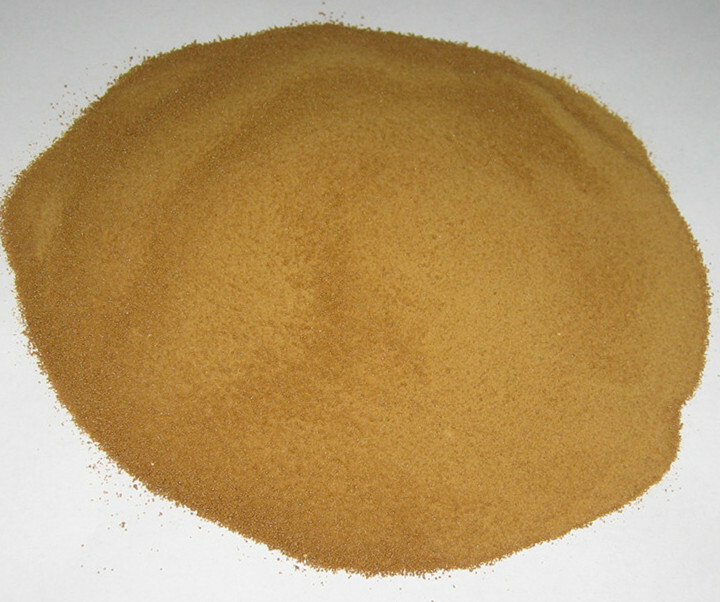 Poly Naphthalene Sulfonate Formaldehyde (NSF) is a naphthalene-based Superplasticizer a chloride-free admixture which is supplied as a brown powder to be instantly dissolved in water. 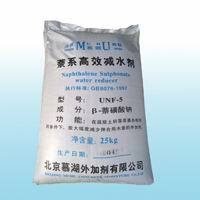 Naphthalene Sulfonate Formaldehyde (NSF) is a naphthalene-based Superplasticizer a chloride-free admixture which is supplied as a brown powder to be instantly dissolved in water. This concrete admixture is used to affect substantial water reduction to concrete without influencing normal setting time and further improves the durability, workability, and strength of concrete. 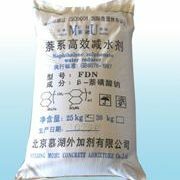 Poly Naphthalene Sulfonate Formaldehyde (SNF/NSF /PNS) complies with the requirements of the following standards: ASTM C 494, Type F; ASTM C 1017 . 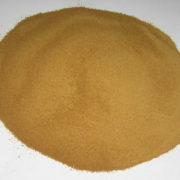 Sodium Sulfate Content, % 18.0 max. 9.0 max. 5.0 max. 3.0 max. Moisture, % 8.0 max. 8.0 max. To provide initial workability especially with low water cement ratio. To significantly improve the initial workability of site mixed concrete without increasing water demand. To have high slump retention with early setting time. Powerful plasticizing action with improved initial workability. Reduces water cement ratio to the maximum which allows production of high strength concrete while saving cement use. Improved cohesion and particle dispersion minimizes segregation and bleeding and improves pumpability. Long haul and hot weather concreting. Gains early strength with very high slump retention. Portland cement and for use with any other special cements contact MUHU. The optimum dosage of Poly Naphthalene Sulfonate Formaldehyde (SNF/ NSF /PNS) to meet specific requirements should always be determined by trials using the materials and conditions that will be experienced in use. Dosages outside the normal range quoted above can be used to meet particular mix requirements. Contact MUHU for advice in these cases. 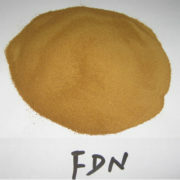 Poly Naphthalene Sulfonate Formaldehyde (SNF/ NSF /PNS) affords excellent control over initial and final setting times. Setting times of concrete mixes are related to cement type, mix design and ambient temperature. It’s packed in woven fabric bag with plastic liner. Net weight: 25kg. 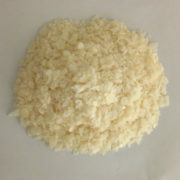 Poly Naphthalene Sulfonate Formaldehyde (SNF/ NSF /PNS) has a minimum shelf life of 12 months provided it is stored under cover, out of direct sunlight. Poly Naphthalene Sulfonate (SNF/ NSF /PNS) does not fall into the hazard classifications of current regulations. However, it should not be swallowed or allowed to come into contact with skin and eyes. Suitable protective gloves and goggles should be worn. Splashes on the skin should be removed with water. In case of contact with eyes rinse immediately with plenty of water and seek medical advice. If swallowed seek medical attention immediately and not induce vomiting. For further information, refer to the Material Safety Data Sheet available for this product. MUHU endeavors to ensure that the technical information contained herein is true, accurate and represents our best knowledge and experience. No warranty is given or implied, as MUHU has no control over the conditions of use and the competence of any labor involved in the application.